Can I Set an Upcoming Event Reminder? 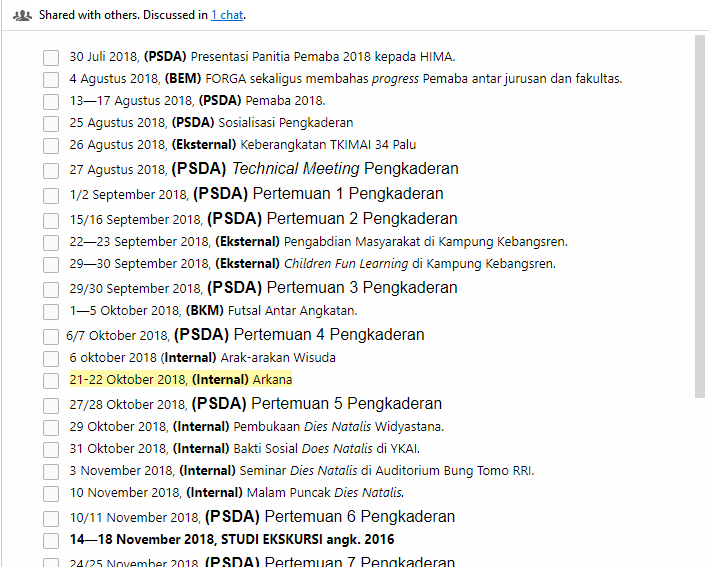 I have a group project list, there are lot of events with different date, we used to call it Project Timeline. I want to ask, can I set an upcoming reminder like 3 days before the day? So all of us will always remember without have to bother checking our notes?? With purpose, none of us missed it. anyway I attached my Project Timeline. If you have the list in a note, you have access to the note's Reminder feature. You can set a reminder for the note - only a single reminder though. My process is a separate note for each action item; this gives me access to a reminder for each item. I can easily produce the list using a search based on project tag or other criteria.